A favorite of honeymooners, Sun Palace All-Inclusive is a couples-only resort with an intimate ambiance and sophisticated decor. Rooms have a subtle elegance, with Jacuzzi tubs separating the bed and living area. All room categories have balconies with views of the sea or lagoon, along with flat-screen TVs and minibars with liquor dispensers. Bathrooms are stocked with Farouk CHI bath products. The glamorous spa is one of the property’s most notable amenities, featuring an herbal steam room and treatments that incorporate local ingredients. The resort’s restaurants and bars are top-notch, with The Steak serving fine cuts of beef by the pool and La Tratto featuring a private dining area with an overwater glass floor. 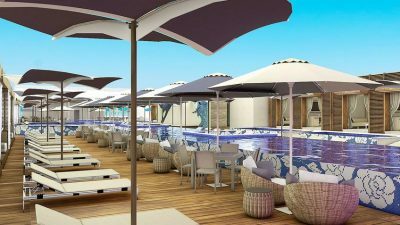 Guests can sip drinks in the stylish, ocean view lobby bar or grab a beer at the swim-up pool bar. The resort is divided into a “quiet” area for guests looking to relax and a “live” area where volleyball and other high-energy activities can be enjoyed. The all-inclusive rate includes unlimited food and beverages, non-motorized water sports, nightly entertainment, and 24-hour room service. The “stay in one, play in six” benefit gives guests access to the facilities and restaurants of the Sun Palace’s sister resorts. All guests receive a welcome bottle of wine, and couples who opt for the Honeymoon Package receive extra perks like chocolate covered strawberries, keepsake bathrobes and slippers, as well as free massages. 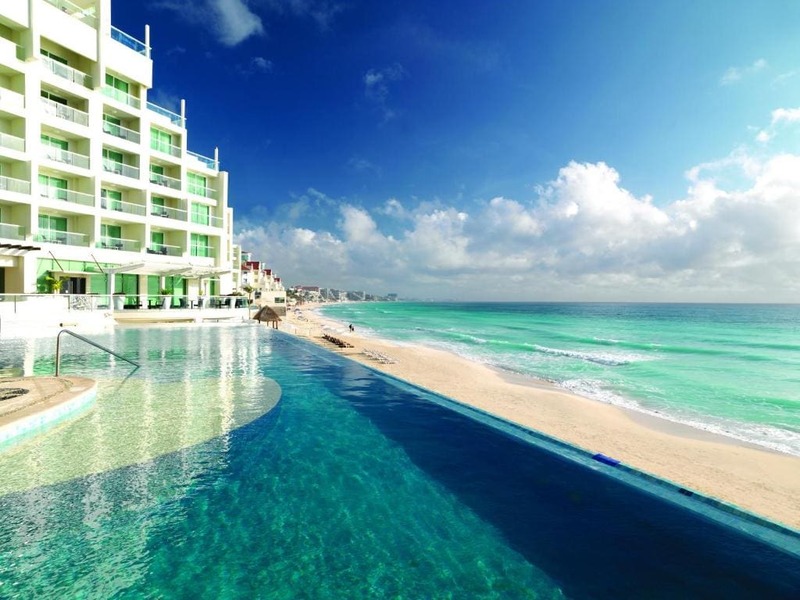 For more information, visit Sun Palace Cancun’s website.